I gave myself a little project for the holidays. Seeing as it is impossible to buy a pair of comfortably fitting trousers – make some. This has involved creating toiles, adjusting patterns and so on, resulting in a pair of trousers that fit me reasonably well. They look quite smart in the photo. I’ve worn them briefly, before turning up the hems, and they were fine, although I fear they may need ironing quite frequently. I was also careful to both wash and tumble dry the material before I started, and it coped with both processes well. In the mean time, and in anticipation of success, I have ordered a pattern with a range of leg cuts. I had hoped I could just put the adjusted straight leg pattern on top of the various cuts, and take it from there. But no, that’s not going to work. The top sections are cut differently as well. At least I broadly know where to adjust now, which is a good start. 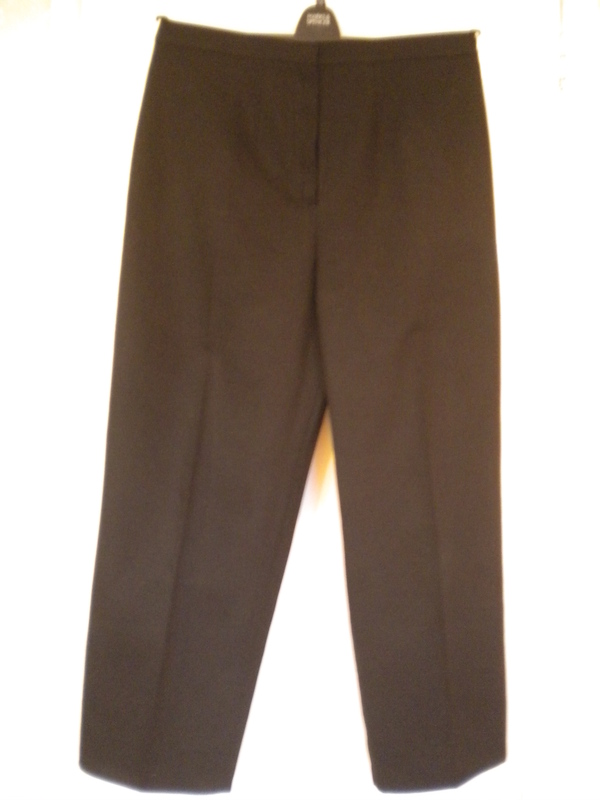 The final version of the trousers took 4 – 5 hours to make from cut out to sewing in the label. But creating the toiles (x2) meant that the whole project took a lot longer. But they fit! This entry was posted on December 27, 2013 by ann hebden in Fashion, Trousers and tagged Fashion, Sewing, Trousers.